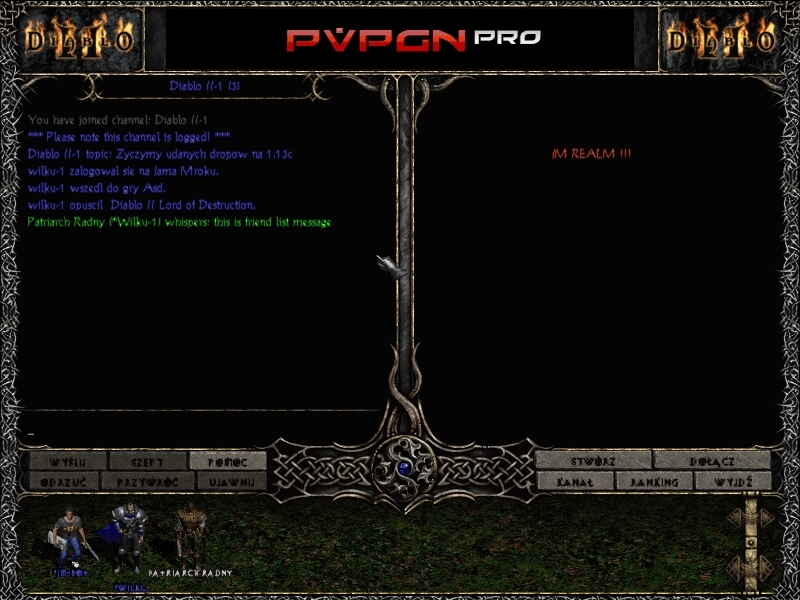 It would be interesting to exchange the colored messages (green) between the clans of Diablo II, to differentiate the messages from the list of friends. Does anyone know how to make this change? I try one time, but that code is in game.dll, edit whit vb. But, maybe i am wrong. My players always complain about that green spam. So ? How make it ? I thought the clans feature didn't work on D2? Do you have it working now Feofilaktt? Tips apply friend list no clans. I never used clans so I dont know how them work.